Online schools let you keep your priorities the same while still working towards a new credential. And the credentials they give you are usually the same as you’d earn on campus. So you’re free to pursue an education that fits with your life. To help you sort through the top online schools in California, we’ve used data from The National Center for Education Statistics and ratings from school-ranking entities like TheBestSchools.org, AffordableCollegesOnline.org, BestColleges.com, OnlineSchools.net, and CollegeChoice.net. Assuming you live in California and qualify as a California state resident, there are several affordable schools on this list. On average, going to an in-state school costs about $15,000 less per year than an out-of-state school. If you’re worried about cutting down the cost of college before applying financial aid or scholarships, the California State University system is your best bet for an online education. There are 23 CSU campuses, each with their own online offerings, and four of them made our list of top online colleges in California. CSU’s Chico campus came in at #3 on our list, CSU-East Bay is #4, CSU-Fullerton is #6, and CSU-Northridge is #9. They’re all tied for most affordable. Every class you take adds to your education, providing (hopefully) new skills and knowledge to make you a better employee and more well-rounded person. But if you’re only in school to get a degree, you probably want to make sure you’ve got what it takes to graduate. When you start looking at online schools, you’ll probably notice something: the list of majors can get pretty small. A lot of massive schools pour all their resources into their on-campus programs, leaving online students with slim pickings. Brandman University (#1) has an ample selection of online programs, but they don’t actually have the most on this list. That award goes to National University (#7), with 81 online degree programs. At either of these schools, you should be able to find a major you’ll love. Brandman University offers a good range of online degree programs, including associate’s, bachelor’s, master’s, and doctorates. California Baptist University caters to transfer students, but they have a good selection of degree programs for everyone else, too. The average length of CBU’s online degree programs varies quite a bit because many of them are degree completion programs. That means they’re only intended for people who have at least two years of school already under their belts. If you haven’t started school yet, that might be discouraging, but for everyone else it’s great news. A lot of degree programs have a maximum number of transfer credits, and sometimes that maximum is as low as 30—or about one year of school. Note: As the name suggests, California Baptist University is a private Christian school. You won’t necessarily have to take Bible-related courses or religious studies, but your professors may approach some topics from a Christian perspective. California State University-Chico has a handful of online degrees and degree completion programs. 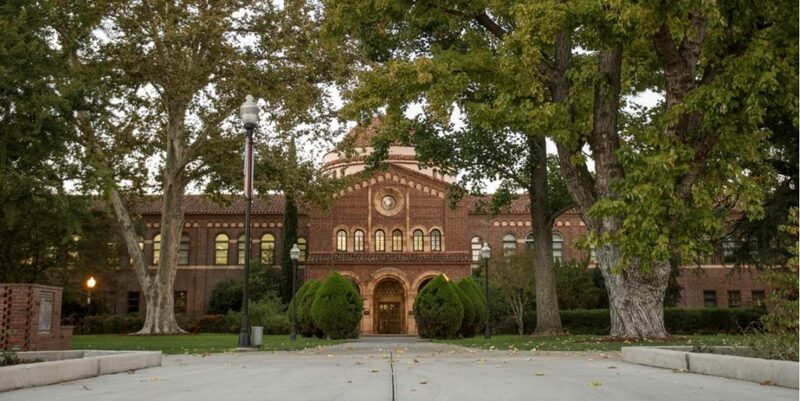 Established in 1887, the Chico campus is the second oldest of California State University’s 23 campuses. They may not have the widest selection of programs, but as an online student at CSU-Chico, you’re entering a legacy of quality distance education. Good: It means you’re definitely getting the same quality instruction that on-campus students receive. Same faculty. Same lectures. Same class discussions. Bad: It means you have to watch at least some of your lectures at a set time. One of the biggest benefits of going to school online is flexibility, but if you see “synchronous classes” it means you’re giving up some of that flexibility. Asynchronous classes let you “attend” class whenever it works for you, and they’ll often be the same quality as the on-campus lectures. CSU-Chico’s transfer out rate is 4%. That’s about one-tenth of the national average, and it means that the vast majority of students who start at Chico stay at Chico. 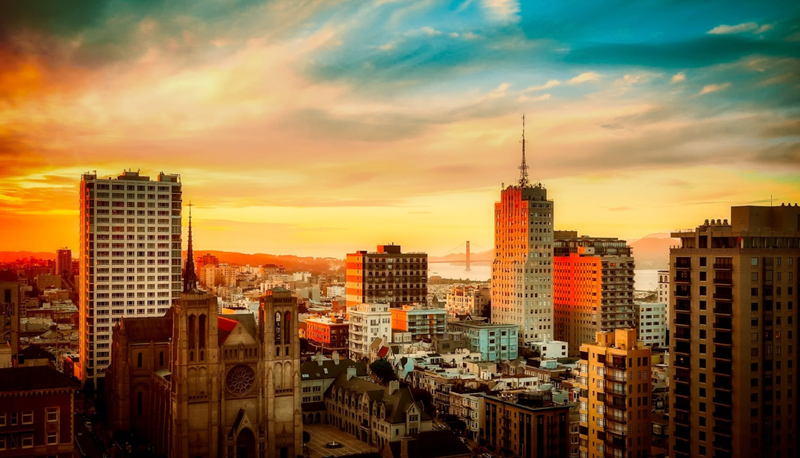 California State University’s East Bay campus has a different selection of online degrees and degree completion programs than the Chico campus. While the number of majors is similar, unlike Chico, the East Bay campus offers specializations within most of its online majors. If you’re interested in an online program from East Bay, be sure to confirm whether it’s a degree program or a degree completion program. Like CSU-Chico, CSU-East Bay has a transfer rate of 4%. That’s a good indicator that most students are happy with their programs. Azusa Pacific University has a decent selection of online degree programs, including hybrid programs that blend online and on-campus classes. Like California Baptist University, APU is a private Christian school. Some majors blend expertise in a particular subject with a Christian worldview. If that’s not appealing to you, you’ll need to review program descriptions and curriculum (which you should be doing anyways). California State University-Fullerton only has a couple of online undergraduate degree completion programs, but they have a better selection of online graduate degrees. 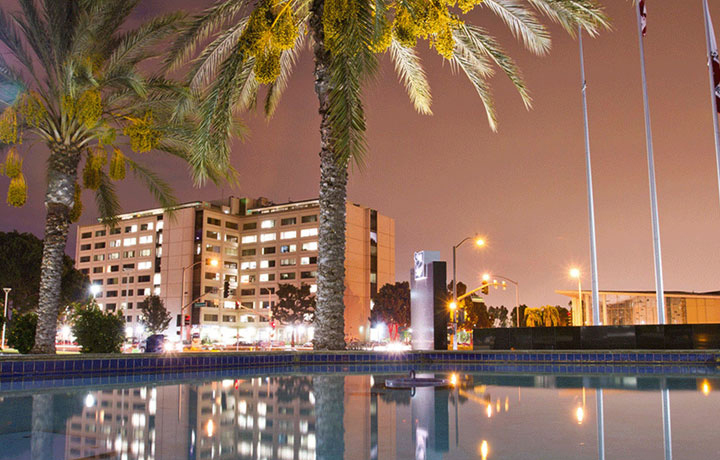 CSUF has a reputation both for academic excellence and diversity. Only 23% of their graduates are white. Whatever they’re doing, it’s clearly having an impact. CSUF generates $1 billion in regional and statewide economic activity every year. CSUF’s transfer rate is even lower than the other two CSU campuses on this list! Only 3% of all students at CSUF wind up transferring somewhere else. National University has the widest selection of online degree programs of any school on this list. As you look at online schools, you might notice that most schools focus on either humanities or STEM programs—but National University has a balance of both. With asynchronous classes, you don’t get the “live” class experience, but that’s not necessarily a good thing. You’ll still get plenty of opportunities for class discussion with recorded lectures (arguably better discussion), and some recorded classes wind up being more engaging than live ones—especially when interactive media is involved. Fun fact: National University is California’s second-largest private nonprofit university. 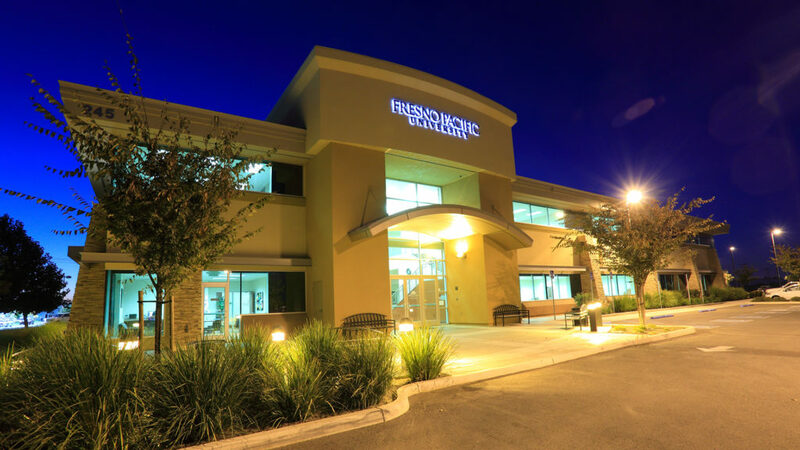 Fresno Pacific University has online degree completion programs for undergraduates, and full degree programs for graduates. There are no online degree programs for incoming freshmen. All of FPU’s degree completion programs come with a two-year completion guarantee. If you meet the qualifications, they’re so confident you’ll finish in two years or less that they will pay all additional tuition costs if you don’t. California State University-Northridge offers a different selection of online programs than the other CSU campuses on this list. These are all degree completion programs though, so they’re only open to students who have already begun their studies. Hope International University has several online degree options for undergraduates and graduates. There have been a couple of Christian universities on this list, but HIU is the first one that appears to assume its students are Christian, and suggest that a Christian education is part of every program. The actual experience at other Christian schools may be similar, but there’s a pretty significant tone in HIU’s marketing materials. For the school’s 80th anniversary, they produced a video to celebrate their history. It should give you a good feel for their approach to education. HIU’s online courses rely on Canvas. To see what that’s like, you can try a course demo. According to the National Student Clearinghouse Research Center, more than one-third of all college students transfer schools before graduating. In order to transfer your credits from one school to another, the two schools usually have to be accredited by the same organizations. Thankfully, all of these schools are accredited by the Western Association of Schools and Colleges. That means you should be able to transfer between them pretty easily. So you might start your degree at a school like Azusa Pacific University and then take advantage of a degree completion program at a more affordable school—or even transfer out-of-state. Should I go to an online school in California? These are the top online schools in California. And none of them made the cut for our list of the best online schools in the country. Unless you’re really attached to one of these schools because you grew up rooting for their teams, or someone you know went there, I’d recommend broadening your search. If you’re looking at in-state schools because you heard out-of-state schools cost more, you should know: that doesn’t apply to a lot of online schools. Notice how some of the colleges on this list don’t separate in-state and out-of-state tuition? Many online schools have one tuition rate, regardless of where you live. And since you won’t have to move anyways (you’re an online student, after all), it certainly can’t hurt to look. Some online schools in other parts of the country offer well over 100-degree options. Check it out. We can’t tell you exactly which online college is the best choice for you—and you shouldn’t let anyone else do that, either. You have to weigh the factors that are most important to you and let that guide your decision. Choosing a school is a huge investment—both in terms of what it immediately costs you and how it affects your life. So take your time.